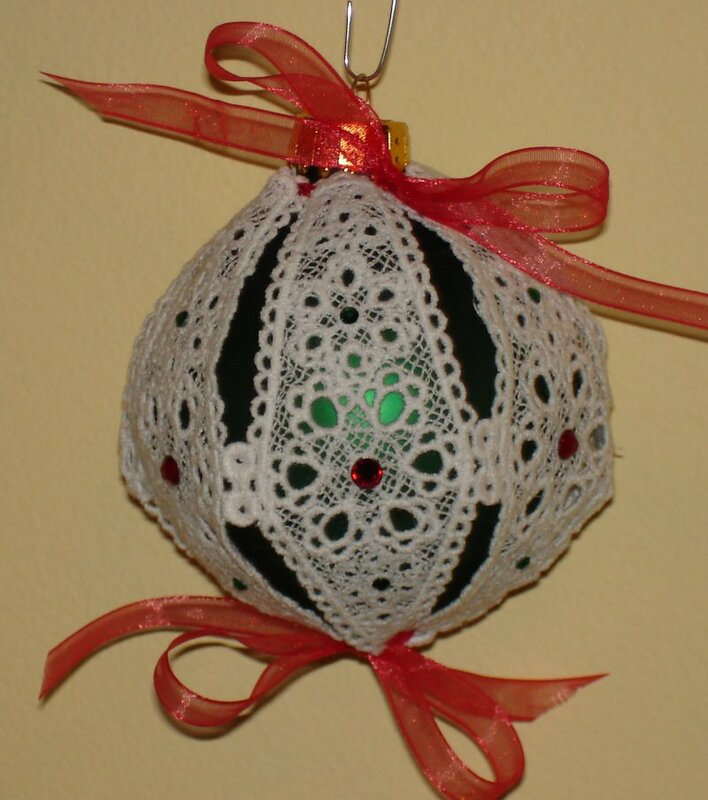 Last week, I was creating some machine embroidered lace for Christmas ornament covers. 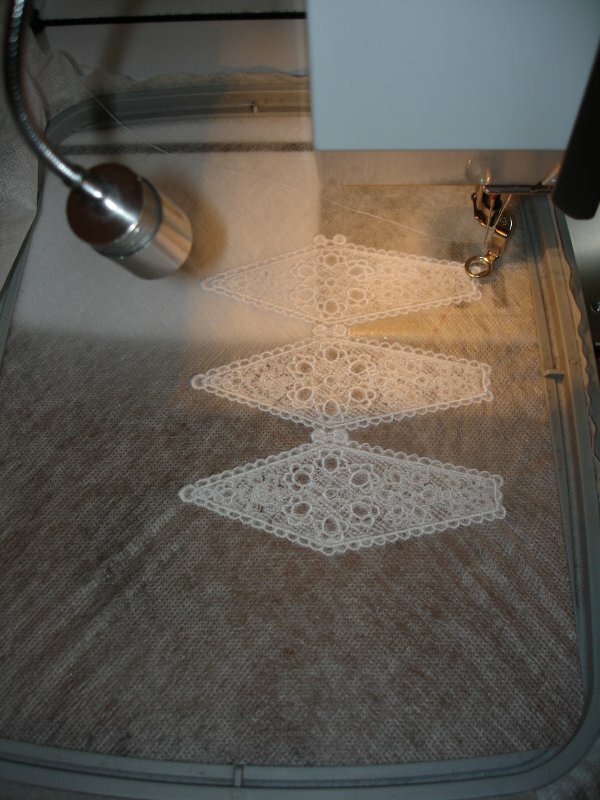 It takes over 2 hours to stitch out each half of the lace. The machine manufacturers tell you that you can just press a button and leave the machine to do it’s thing. Wrong! The thread breaks. The bobbin runs out. The thread tangles in the guides. The hoop can bump something and loose it’s alignment. You really do have to babysit as the machine does it’s thing. It’s pretty boring to sit there and watch for hours at a time, so I make sure I have something else to do while I’m waiting to fill a bobbin or re-thread the machine. 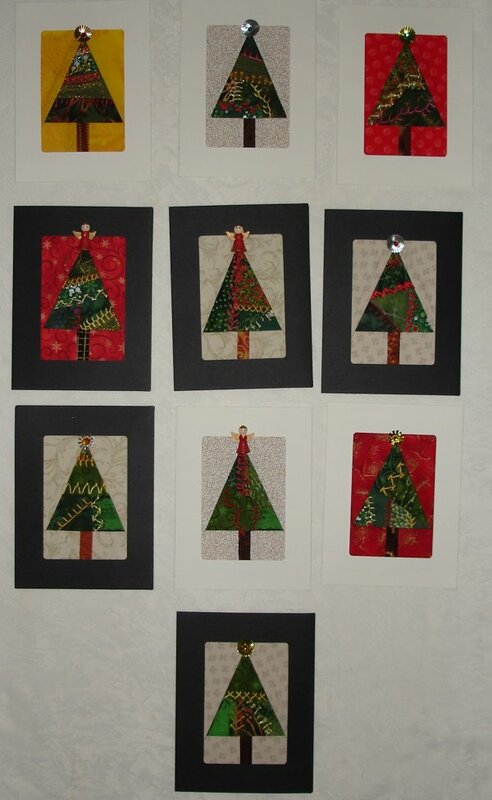 This time, I was embellishing some “Crazy Quilt” Christmas tree blocks to use for more cards. I got to play with my fancy fibers and made 10 cards! Today, I’m making labels and tags for various craft show items. This entry was posted in Crazy Quilting, Uncategorized and tagged Toronto East Rotary Club Craft Sale. Bookmark the permalink.